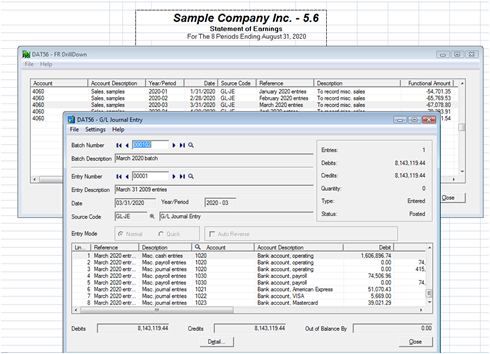 Using ACCPAC financial statement designer, we can easily enable the FR Drilldown function in ACCPAC . This function allows a user to right-click their mouse on a specified field on the financial statement in Excel and drill into the original transactions within ACCPAC. 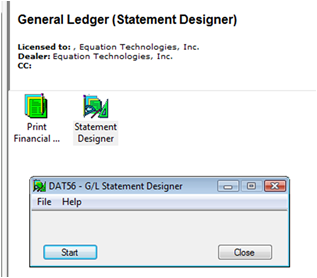 1) Login in to ACCPAC , go to GL Financial Reporter, “Statement Designer”, and start the program. 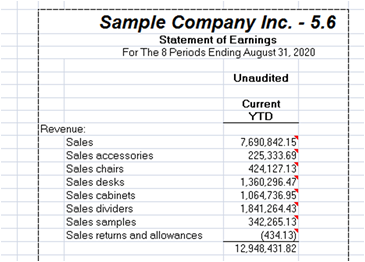 2) This will open an Excel workbook, use the canned ACCPAC financial statement quickinc1.xls located in my applications directory, which will be something similar to C:\Program Files\Sage Software\Sage Accpac\GL56A\ENG. Depending on which version of ACCPAC you are running it may be GL55A\ENG, GL54A\ENG, etc. The formula is =FRAMTA(“NETYTD”) , which is pulling YTD net changes for that column. We want to enable drilldown for this column of data. 4) Change each of the control formulas in cells G15, G24, and G32 to enable drilldown. The new formula used will be =FRTRNA(“NETYTD”) . 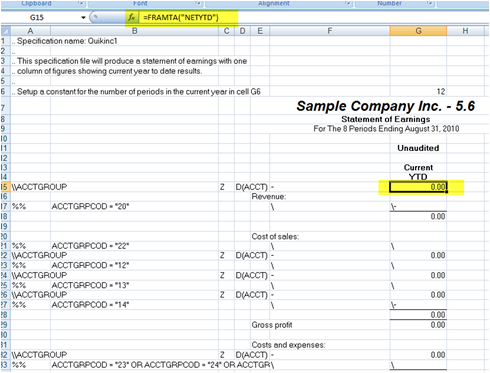 Adding FRTRNA as the formula type will enable drill down in your ACCPAC financial statements. These signify that drill down functionality is available for that cell. 6) Right mouse-click one of those cells, and choose “FR Drilldown”, you will get a window that shows all transactions that make up that number for the period. This will work on any of your custom financial statements, not just the canned ACCPAC statements. Drill down only works with net change data, not balances. Depending on the amount of data you have in the database and the format of your financial statement, enabling FR drilldown can degrade processing time when running your financial statement. Drilldown will only work with financial statements opened and ran through FR Statement Designer. We hope this tech-tip is helpful to you and if you have any other questions, comments and/or feedbacks regarding Sage Accpac's Financial Reporter feature or function we would love to hear from you.